December 1940. 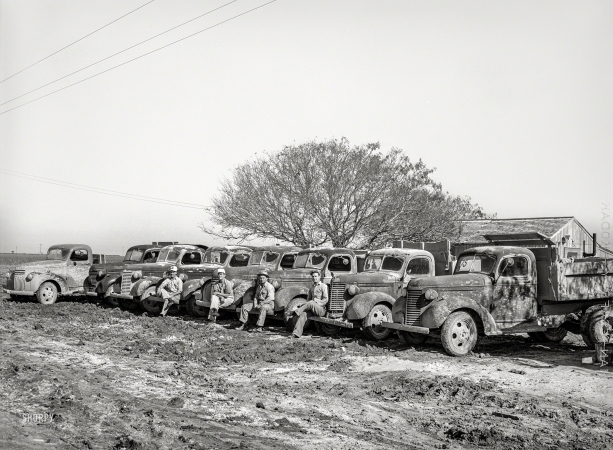 "Lineup of trucks at workers' camp near naval air base now under construction. Corpus Christi, Texas."